We at itchy feet are firm believers that if a thing’s worth doing, it’s worth doing slowly. 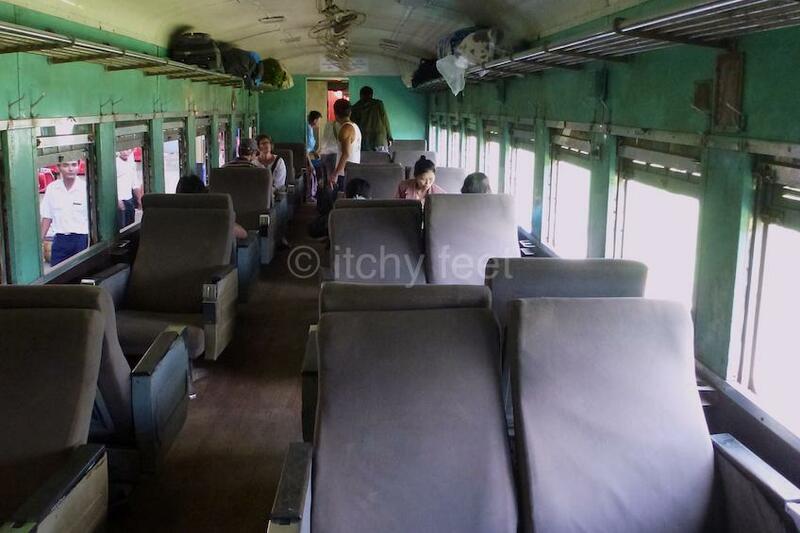 Which is why the train between the former colonial hill station of Kalaw and Shwenyaung, the nearest railhead for idyllic Inle Lake, is such a treat: three and a half hours to travel 50 kilometres! 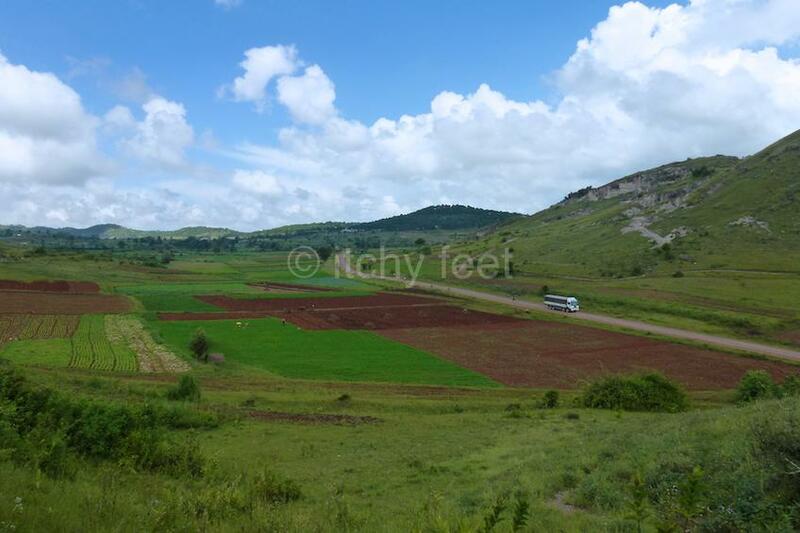 At that gentle pace you can really appreciate some of most beautiful scenery Burma (Myanmar) has to offer. And all for the princely sum of three US dollars in upper class, or if you are on an especially tight budget, one US dollar in ordinary class. 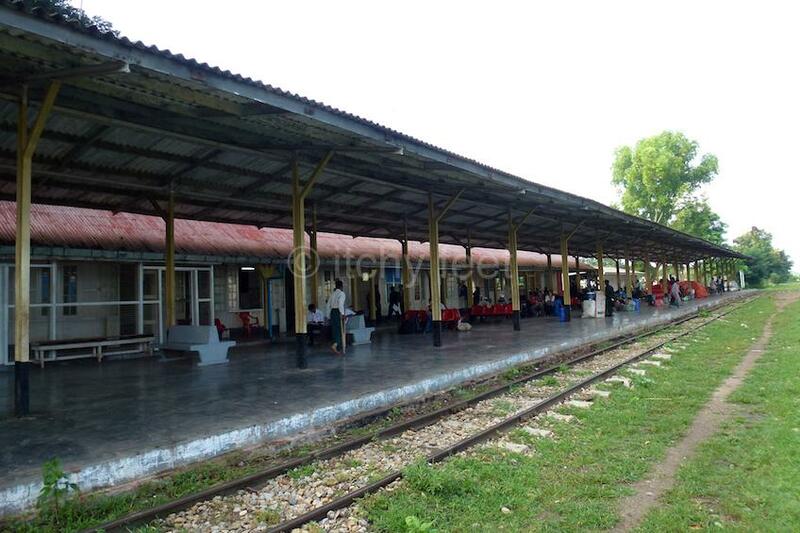 Shwenyaung train station is roughly 11 kilometres from Nyaungshwe, the main jumping off point for Inle Lake. Although most tourists seem to do this journey as part of an organised tour, the station staff could hardly be more friendly to independent travellers. Two trains leave Shwenyaung every day for Kalaw, the first at 8am, which arrives at roughly 11.30am, and the second at 9.40am, which gets in at approximately 1.10pm. There’s no need to book tickets in advance, but it pays to arrive at least half an hour before the scheduled departure, as trains have been known to set off early. The carriages have certainly seen better days, but the upper class ones are surprisingly comfortable. In this age of hermetically-sealed travel, it is such a pleasure to have a natural air conditioning system, in other words, open windows. Just don’t rest your arms on the window frames, as they are covered in grime which may well date back to colonial times. Even though a sprinkling of foreigners do this journey every day, this is definitively not a tourist service. 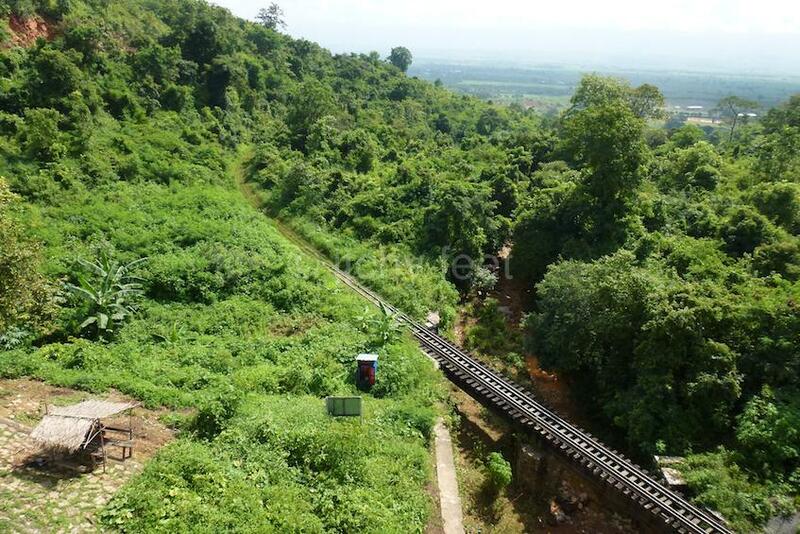 For more than a hundred years, this line has provided a vital link for people living in the southern Shan Hills. Having said that, enough tourists get the train, that you are not treated as an oddity by the locals. In fact, foreigners barely seem to register on their curiosity-meter. 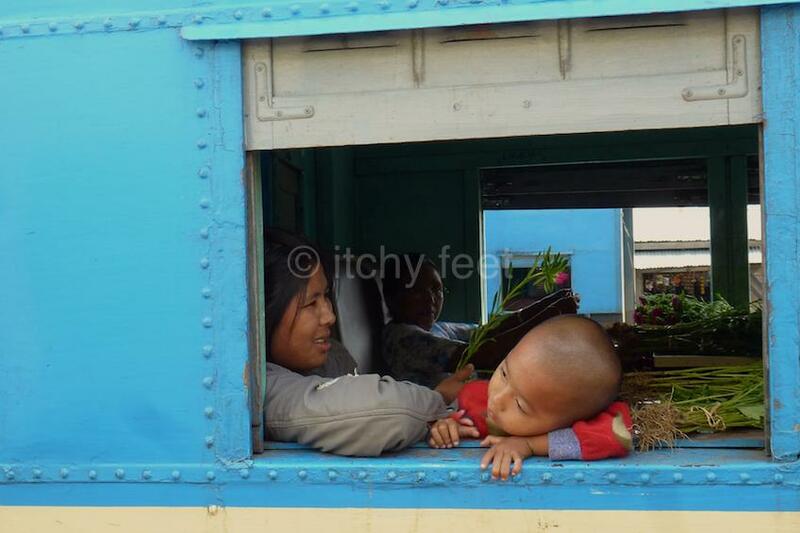 And as is generally true in Burma, the whole experience is all delightfully hassle-free. Much of the journey is simply spent watching the world go by. And then every few kilometres you come to a station, some little more than a rickety shelter in the middle of nowhere, and others bustling with activity. 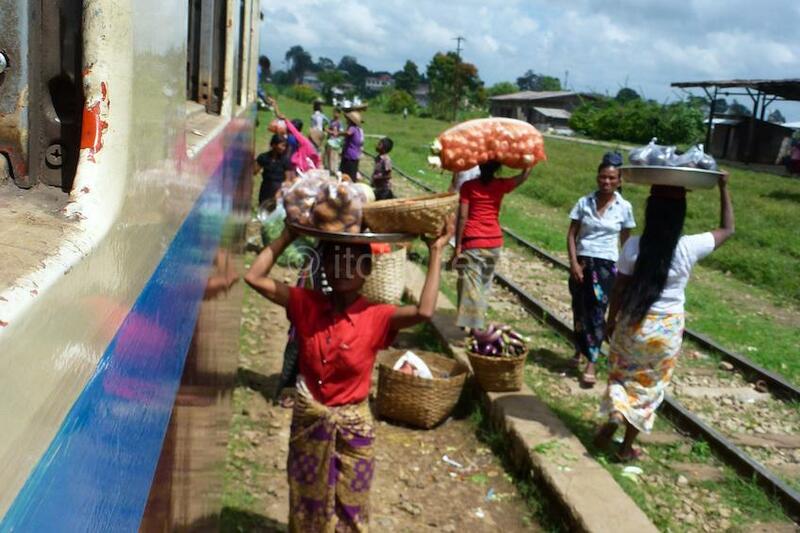 The train’s arrival at one of the proper stations sets off a frenzy of activity, as goods are loaded and taken off the train, and vendors offer snacks and fresh produce to passengers. You always have time to get off and have a quick potter round, before returning to your seat. Passing through these small rural communities gives a real opportunity to experience the vibrancy and colour of day-to-day life among the Shan people. Of course, it is possible to do this journey by bus, no doubt both quicker and cheaper. But where would be the fun in that? There is something about (slow) train travel, which allows you to appreciate your surroundings so much better than buses and cars. 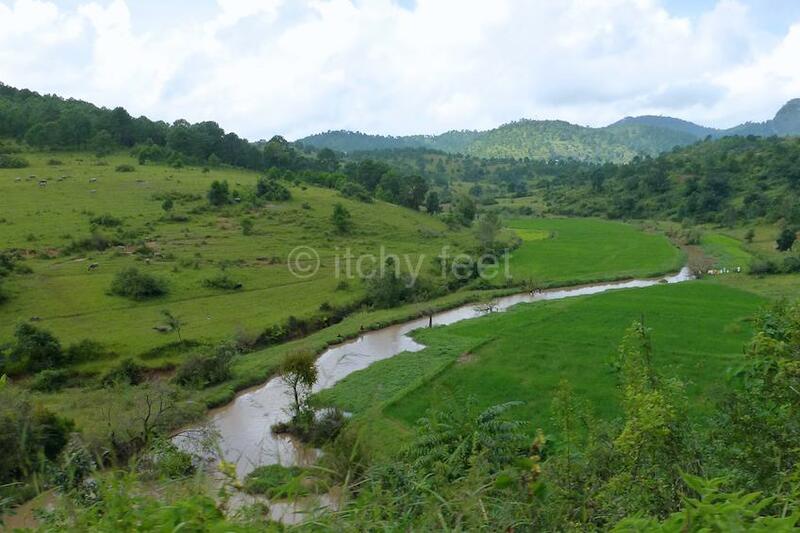 The train journey can also be combined with another superb way to see the southern Shan Hills: the three-day trek between Kalaw and Inle Lake. 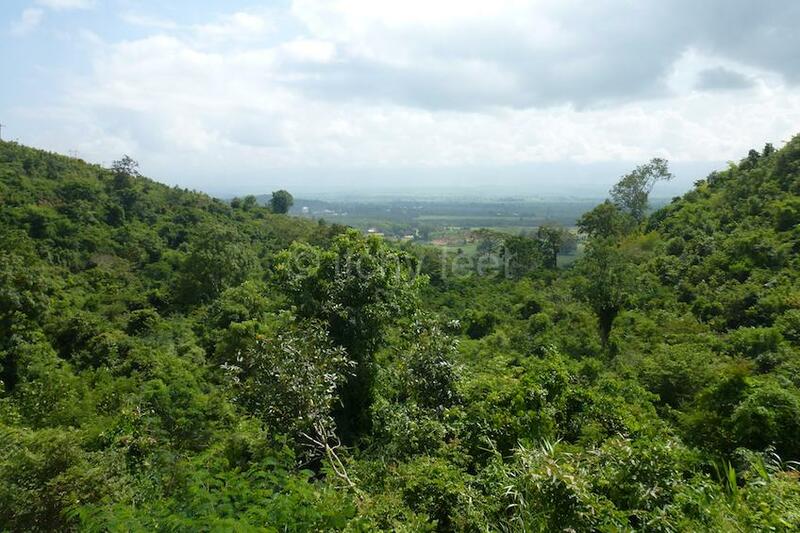 It’s best off doing the walk from Kalaw, rather than Nyaungshwe, as you are climbing less. 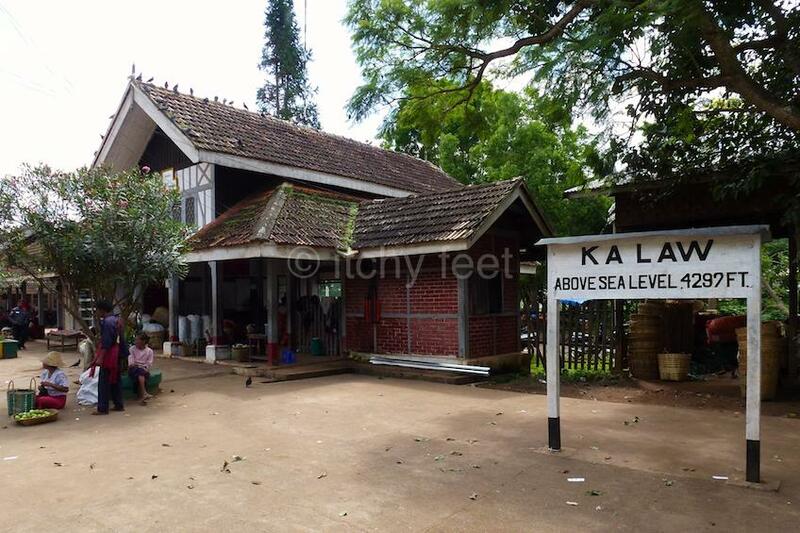 Kalaw’s train station is an appropriate introduction to the former British hill station, with its mock-tudor architecture and laid-back charm. 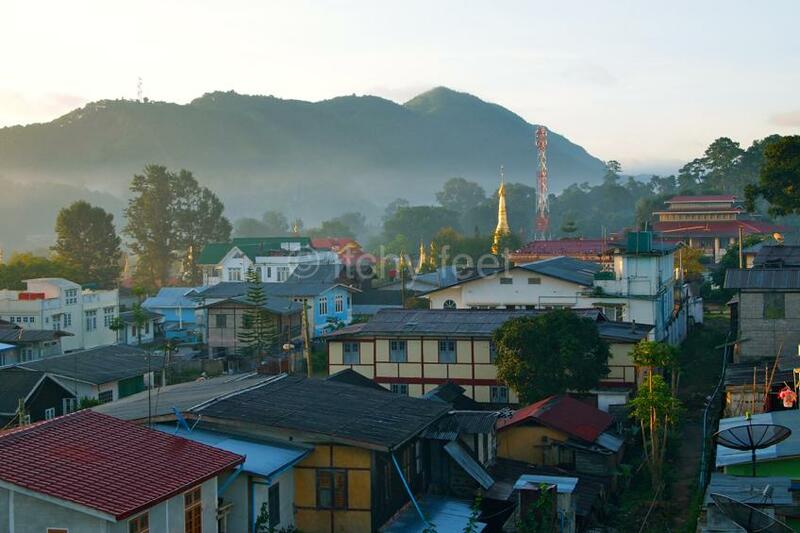 With an elevation of 1,300 metres above sea level, Kalaw has a pleasantly cool climate. It can also boast lots of built and living heritage, and a refreshingly multi-cultural atmosphere. 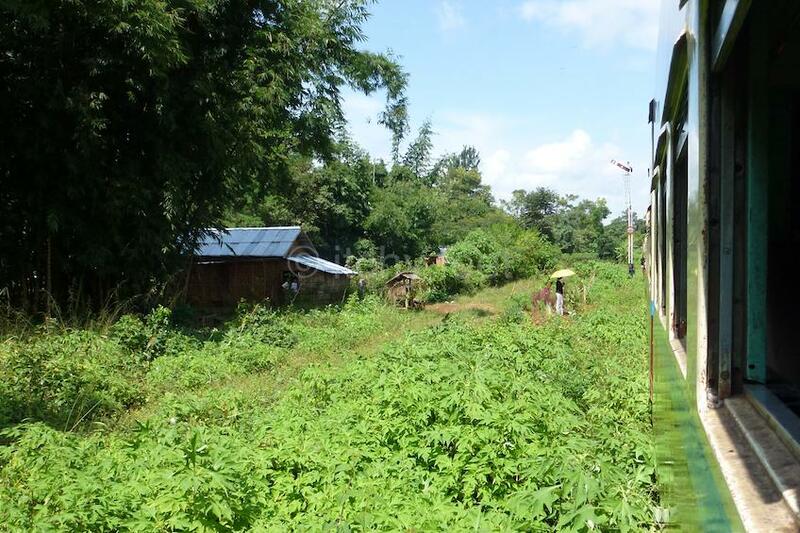 We would recommend spending some time in Kalaw, but if you are in a rush, then both trains from Shwenyaung continue onto Thazi, on the main line between Rangoon (Yangon) and Mandalay. Indeed, the 8am goes all the way to Rangoon, arriving at round 2.40pm the next day. 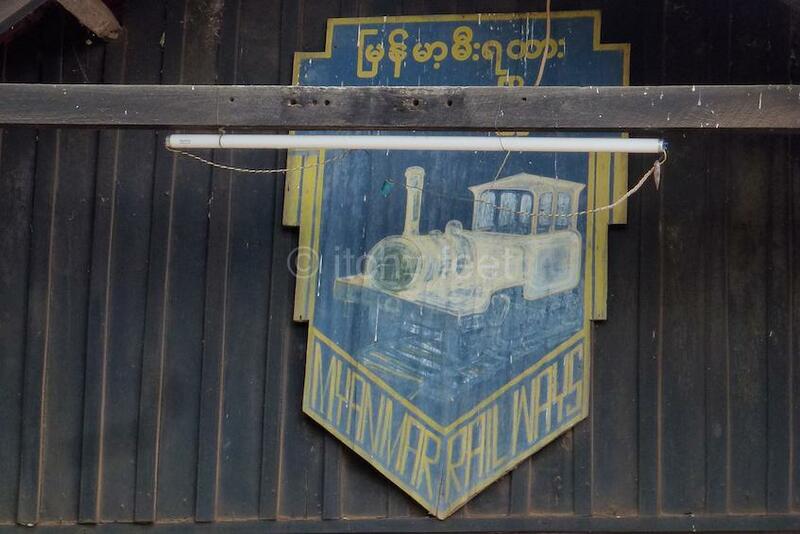 Going in the other direction, trains set off from Thazi at 5am and 7am, and from Kalaw at 11.40am and 1.30pm, arriving at Shwenyaung at 2.50pm and 5pm. For a full timetable and ticket prices, see this link at the The Man in Seat 61. 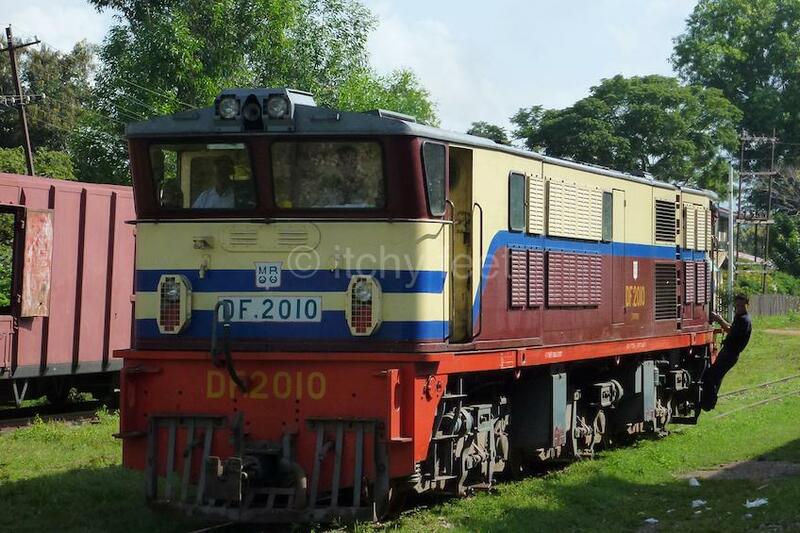 This excellent website has the most trustworthy information and advice for rail travel in Burma. If you enjoyed this piece, you may well like Burmese days: the extraordinary photos of Philip Adolphe Klier, and A journey of delight into Sabah’s interior.